WocaBee = A revolution in foreign words learning! Order your 14-day free trial now! 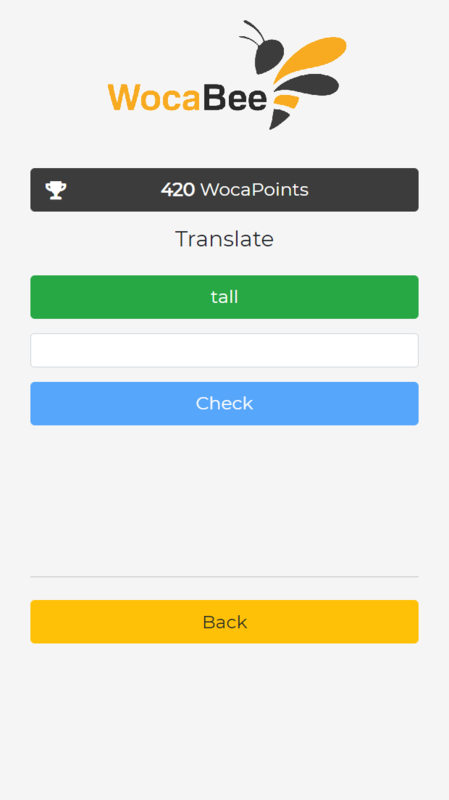 WocaBee is a new application, supporting students to learn foreign language words quickly, easily and effectively. Teacher manages the class: adding word packages once or twice a week. Studentspass each package by the given deadline. Teacher can see completed homework and assess each student individually. Wocabee is language independent, so it can be used for learning vocabulary of almost any foreign language. Application (menu, labels, etc.) is currently available in: English, German, Czech and Slovak language. Wocabee uses algorithms to be as effective as possible. Easy to use and nice overviews. Students can do homework or practice anytime and anywhere. Works on any device: smartphone, tablet, computer. Try out how it works! 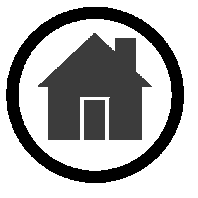 Wocabee is affordable for everyone. A whole class can be ordered for desired number of months. 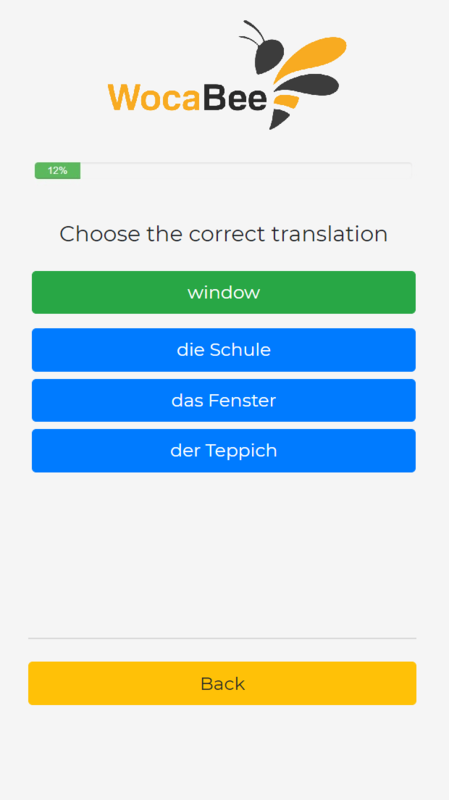 Teachers use the app free of charge. Teacher(s) can collect the fee from students. The app can be also purchased by the school. 2 - Full support and instructions for teacher and students are sent by email. 3 - Students sign in independently to WocaBee and assign the class(es) by entering the acces code(s). 4 - Teacher can create the first package of words, so having fun & gaining vocabulary with WocaBee can begin. "Since we started using WocaBee, students have shown a greater interest in foreign language classes. It has also positively reflected in their results. As a teacher, I also appreciate nice overviews and knowing which foreign words are causing the most learning difficulties for my students." "Students love WocaBee. Not only is it a new way for students to learn foreign words, but also gives them the chance to practice right before a test. In the past, they had to learn vocabulary from a workbook. Now it is learning while having fun. They are racing and trying to be the best because of the ranking within the class." Message has been succesfully sent. Message has not been sent. Please, try again later. © WocaBee 2019. All Rights Reserved.